Instead of pulling students out for interventions, all special education teachers are integrated into the general education classroom to build capacity and provide personalized assistance during learning time. This increases the number of adults present to work with students, allows for closer integration and planning across teacher teams, and also reduces negative social perceptions potentially associated with models where a student is pulled from a classroom to receive support. Students needing extra support are able to get it without having attention drawn to them by leaving the class or having an aide by their side. Identifies their learning opportunities in class through their Learner Pathway. Special education students participate in the same learning opportunities as general education students, with some additional teacher time and differentiated resources to better meet their specific needs. Special education teachers are integrated into the classroom instead of providing 1:1 support. 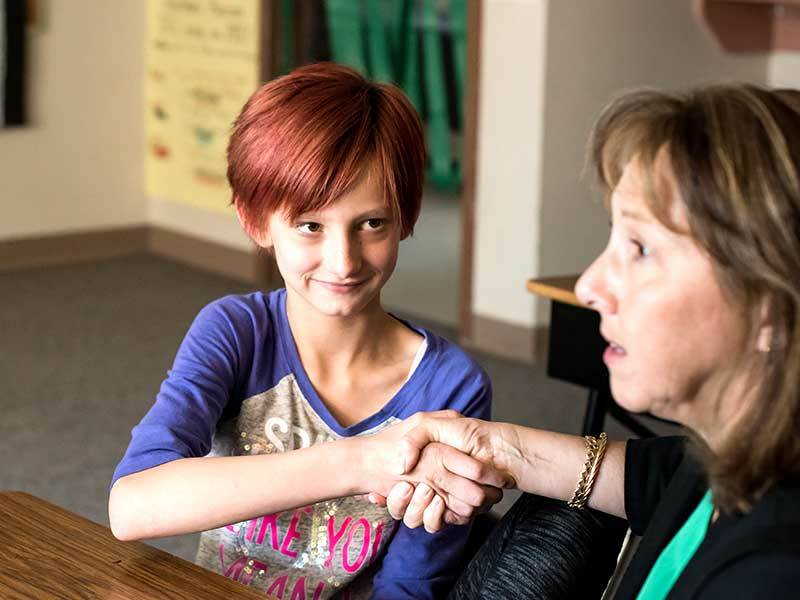 Special education teachers know which students need additional supports and plan with the general education teacher to ensure these students receive those supports during class time. Special education and general education teachers plan teacher resource allocation for the day/week during Professional Learning Communities and communicate throughout each day to see if any changes need to be made to supports. Provides data through pre- and post-assessments to gauge student progress. Allows students to identify their learning opportunities for the day through Learner Pathways. Student groupings based on need (done in Excel).